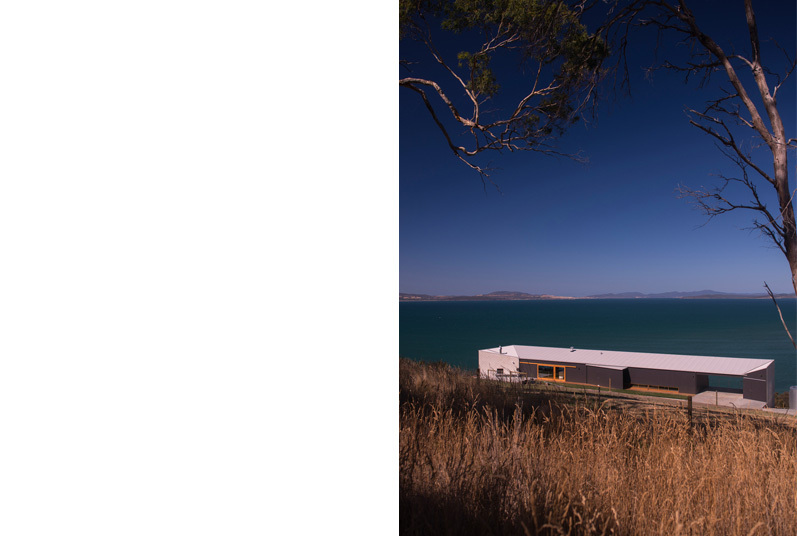 Set on a windswept hillside overlooking Frederick Henry Bay the project evolved from a pragmatic response to the challenges of occupying an exposed often extreme coastal site. 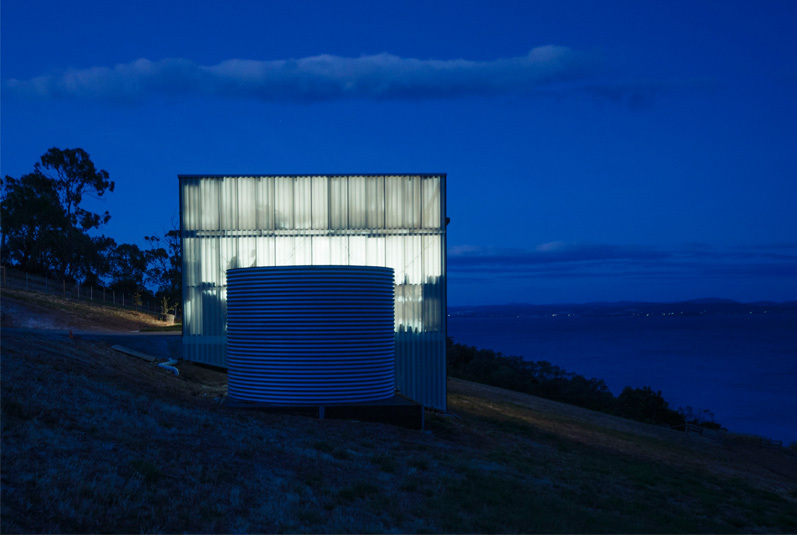 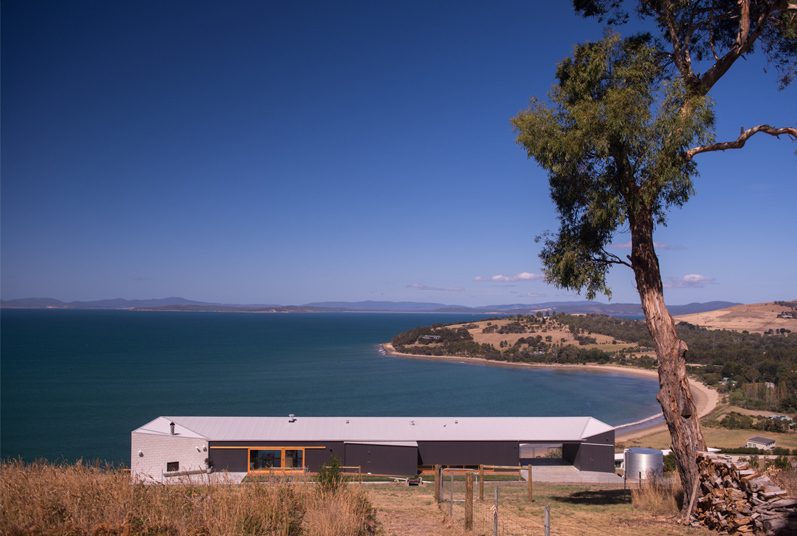 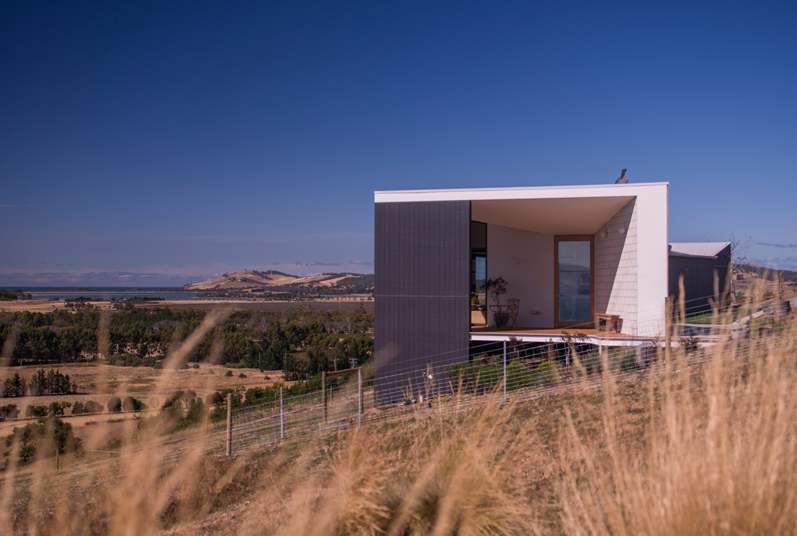 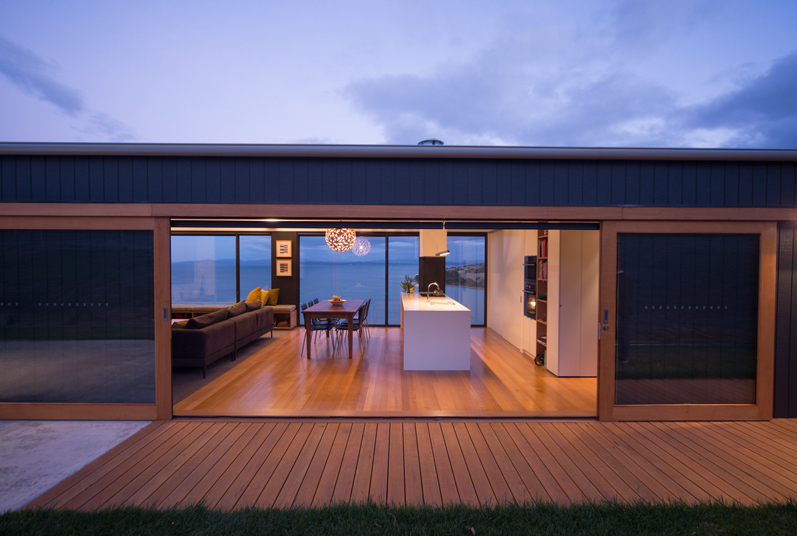 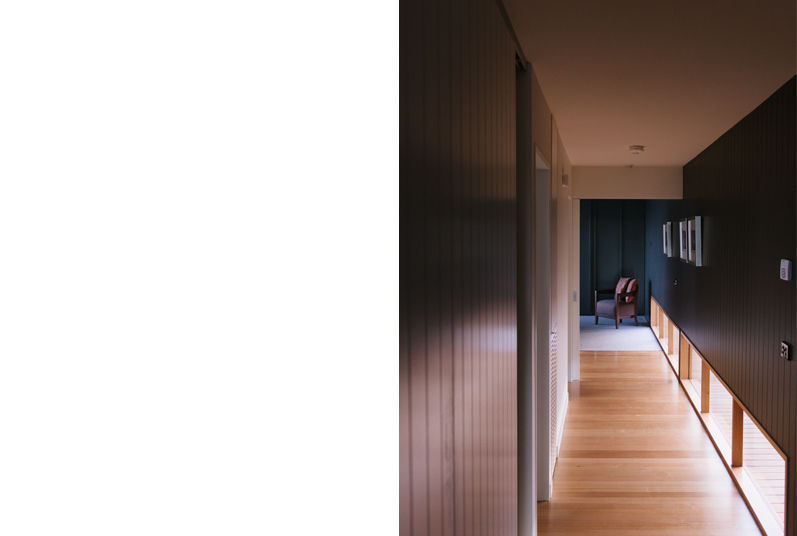 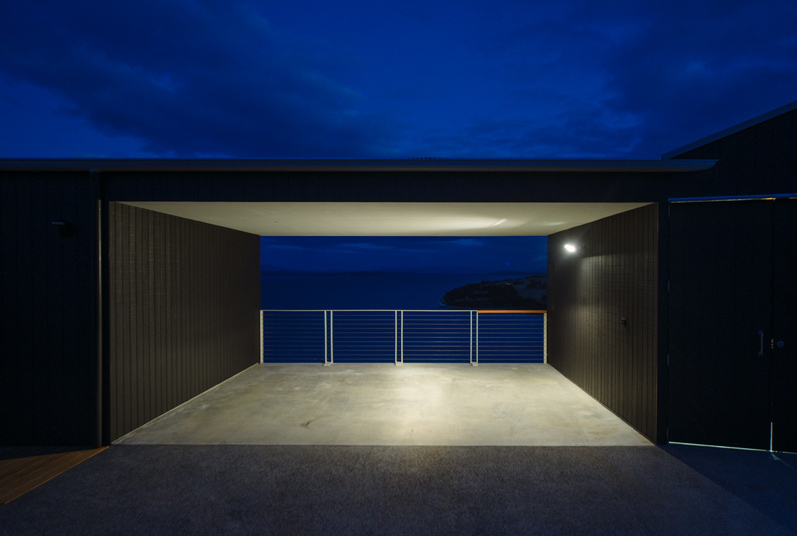 Born from these conditions the design robustly responds establishing the house as a ‘windbreak’ to the bay this gesture in turn creating a haven from the elements tucked in behind. 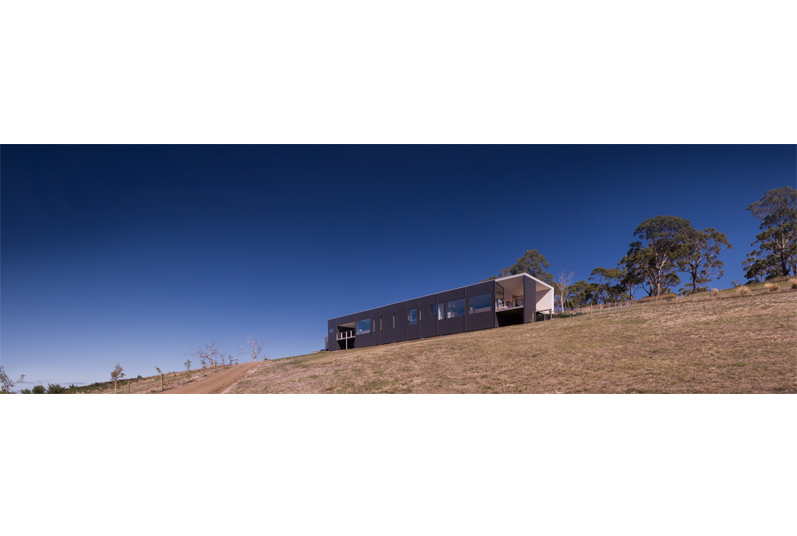 Stretched across the site the house follows the lay of the land, the simple form higher at the front addressing the scale of its context, lower to the rear allowing a more human scale to prevail.